Organic Creamy Buckwheat Cereal is milled from premium quality organic buckwheat. 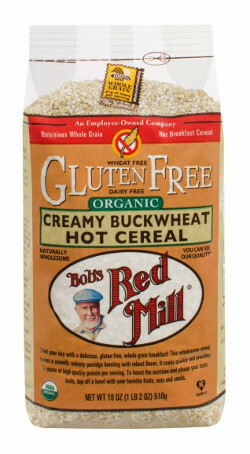 The robust buckwheat flavor is a cereal lover's delight, making this cereal one of our most popular gluten free cereals. This gluten free porridge cooks quickly and makes a wonderfully filling whole grain breakfast. While primarily used as a hot cereal, Organic Creamy Buckwheat can also be used in a wide variety of culinary applications.